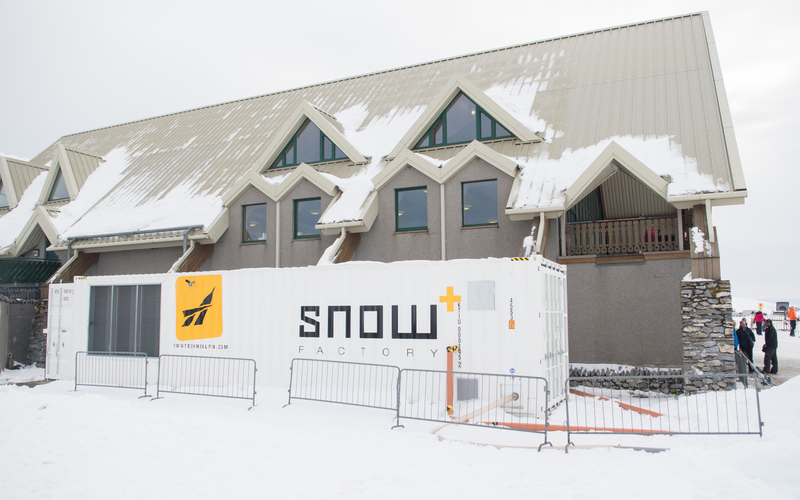 Following on from the trial in February, the Lecht has purchased a snowfactory developed by TechnoAlpin. Using innovative cooling technology along with using all the green energy from our wind turbine to power the unit. We will be producing snow so that we can open some of the slopes in early December. The TechnoAlpin factory can produce snow in all temperatures and is not weather dependant. The GB Park and Pipe youth team also enjoyed the benefits of the snowfactory with a very successful training camp at the Lecht on 3 of the hottest days in June. The run in to the jump was made with real snow on top of matting and the landing was onto the airbag. From now on we may be seeing more snow in the summer months as well as in the winter.